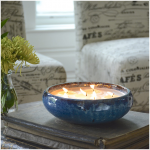 These pear scented candles are hand-poured in Ohio by American candle artisans. 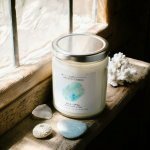 The candle is 2lbs of wax and sprinkled with 6 cotton wicks for maximum glow and light cast. Each Saxon vessel is made from Earthenware clay and handmade into a low bowl pottery styling. 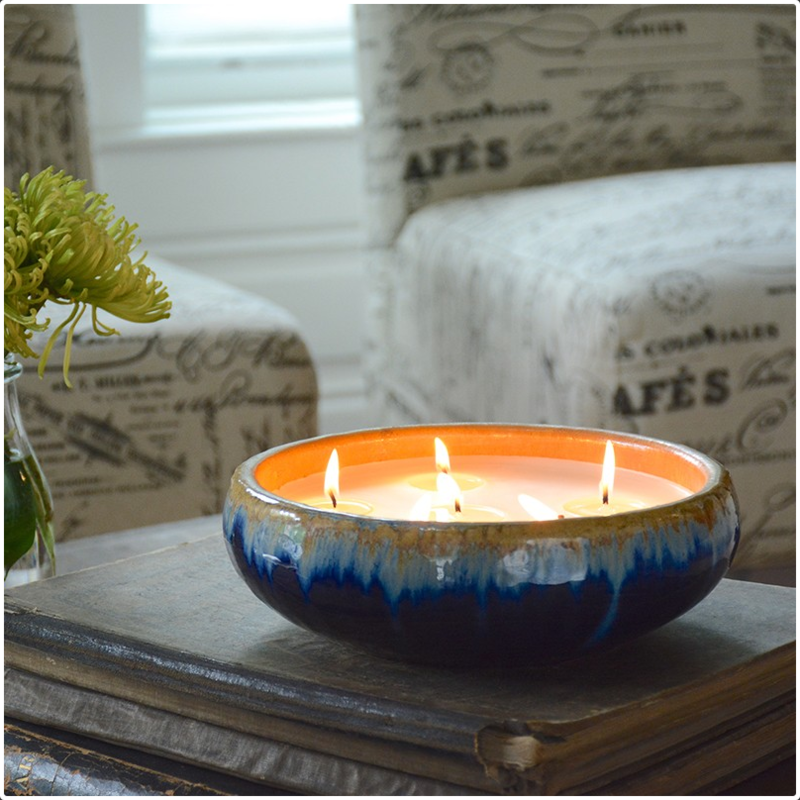 Each pottery piece is of exceptional quality with beautiful reactive glazing and hand dipped interior glaze of the FlashPoint Candle signature sky blue. Every Saxon vessel has this pop beautiful blue glaze on the interior of the pottery no matter the exterior glaze choice. 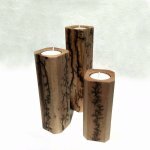 These unique candles holders will vary slightly as with any truly handmade artisan product. Give a Saxon candle as a special gift or place on a dining table, coffee table or bed-side stand. 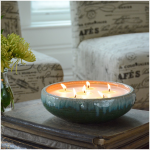 At 9" diameter, these stunning pear scented candles can be used almost anywhere in the home, adding an artful object is often the finishing touch to any room, let the Saxon six wick soy blend candle be the final detail in your decor. These unique candle holders can be re-purposed in the home or outdoors after the candle is finished. Use as a holder for bracelets, customize a terrarium and add a cloche or even a catch-all at the front door, the ideas are endless for a purposeful re-purpose of the Saxon vessel.